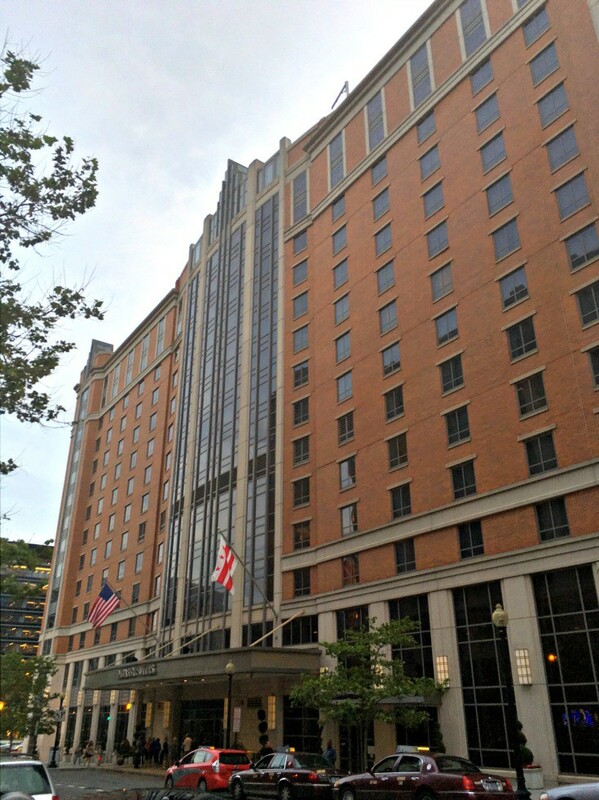 Is the Embassy Suites Convention Center in DC good for families? 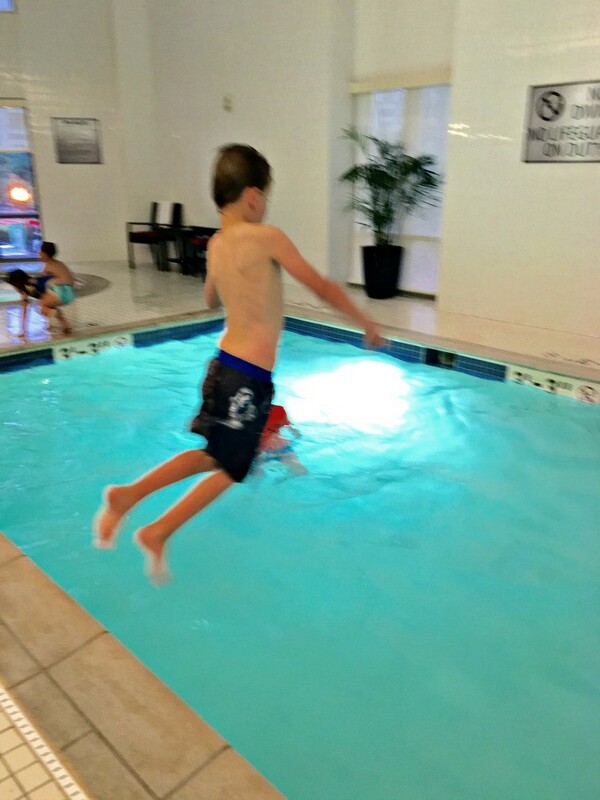 Home TravelFamily Weekends	Is the Embassy Suites Convention Center Washington DC Good for Families? 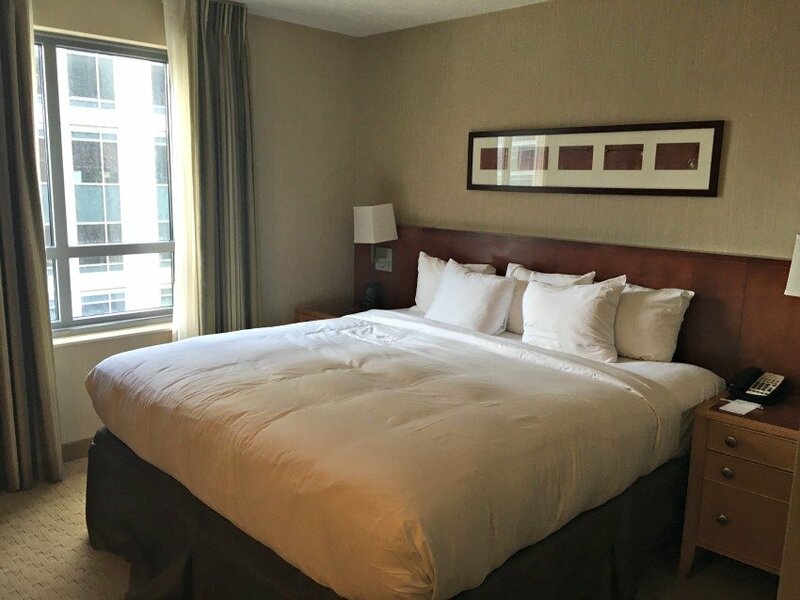 When we planned our family getaway to Washington DC, we knew we needed a place to stay that was centrally located, safe and convenient for families. 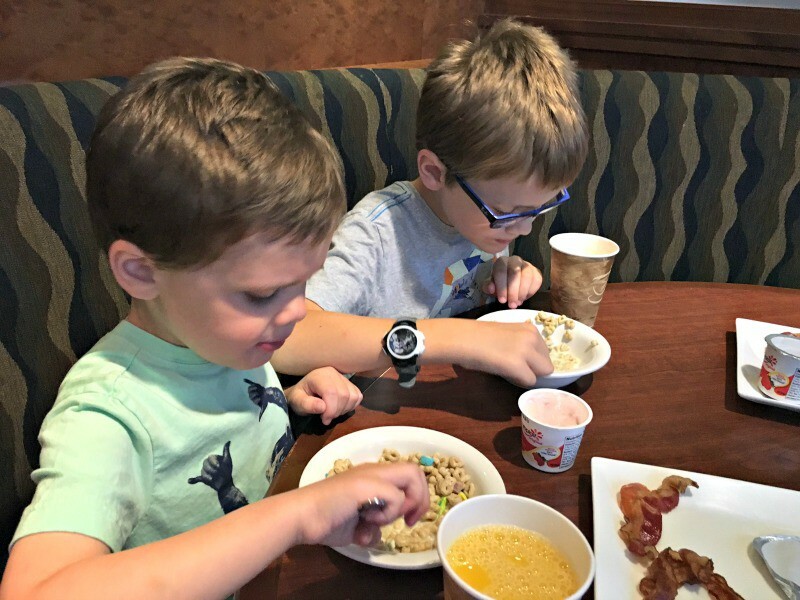 So, when I learned about all of the family-friendly amenities available at Embassy Suites when I was at the Mom 2.0 conference earlier this year, the Embassy Suites Convention Center was first on my list. 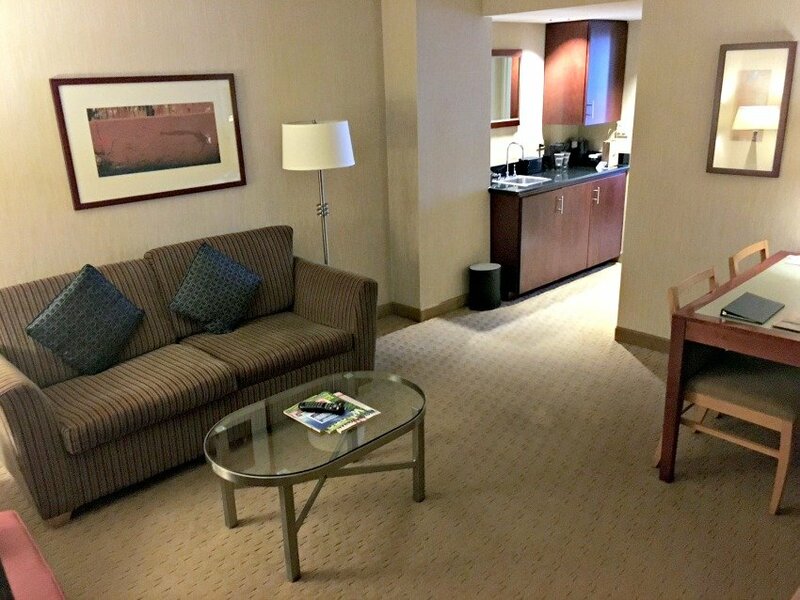 I was able to book a suite at a discounted rate so I could see for myself. I have to tell you, I was seriously impressed! First of all, the location was amazing. When our train arrived at Union Station, we hopped on the bus and in just a few minutes arrived ad our stop just a block or so away from the front doors. 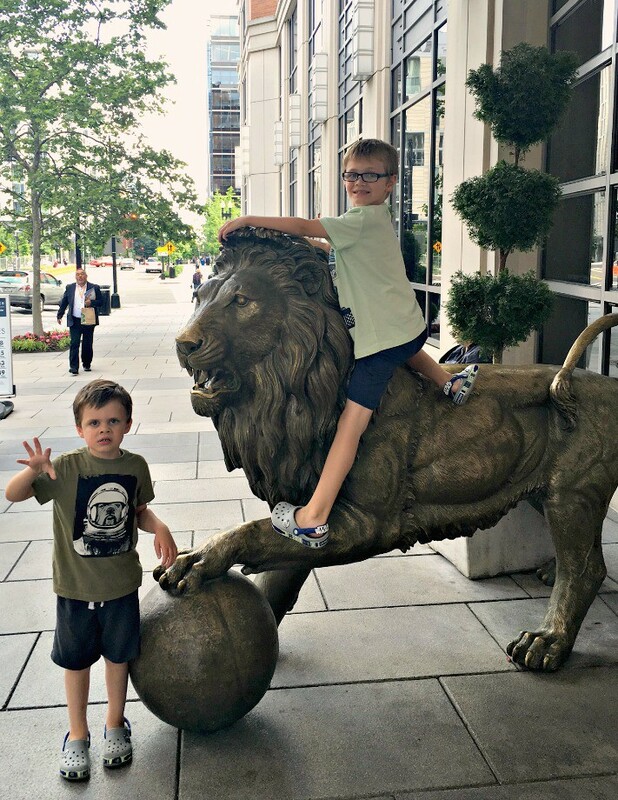 It was a quick walk and as you might expect, the boys were thrilled to be greeted by the giant lions out front. I’m not sure if they were supposed to climb these, but we have about 14 versions of this photo because they insisted on saying hi to the lions every time we walked through the door. No one ever told us to stop, so I guess we’re good. Our room was on the 7th floor and we had a nice street view below. I wouldn’t worry about views in this location. 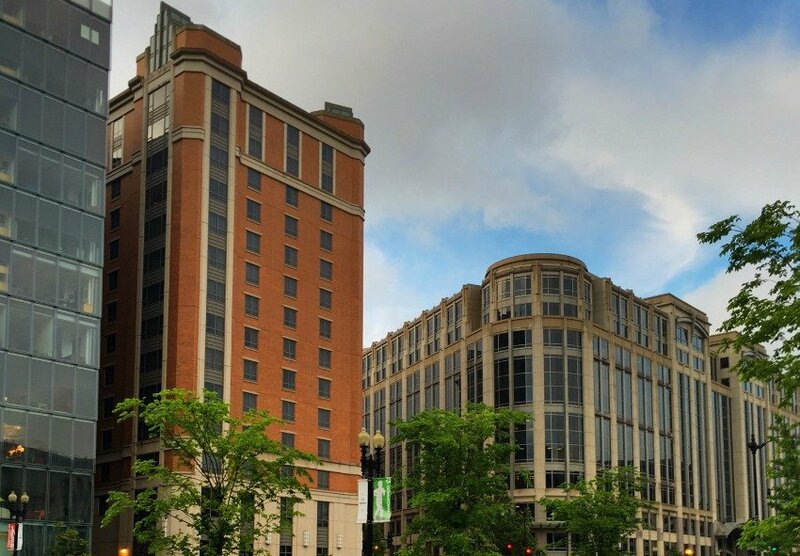 You are close to many fun things to do and see in Washington DC, but that means you will be surrounded by other buildings. We were fine with this because we wanted to be out seeing those things up close! We entered the living and dining area. This is where the boys slept and they loved the “magic” couch that changed into a bed. Calvin thought it was just about the coolest thing ever. A hallway with a small kitchenette led to the main bedroom. 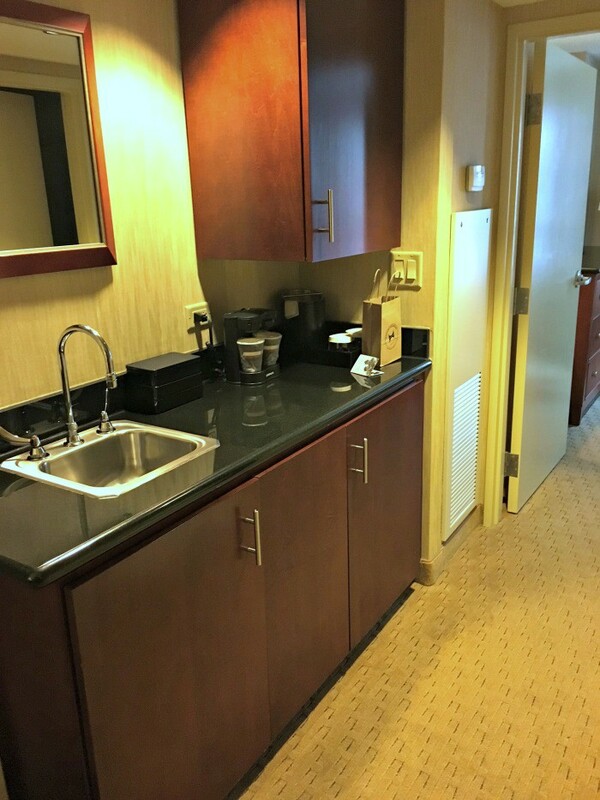 The kitchenette was equipped with a mini-fridge, microwave, and a coffeemaker, as well as, a small sink. Our king size bed was so comfortable. We literally just buried ourselves in blankets and pillows after miles and miles of walking each day. They boys loved laying on the bed with Daddy reading Harry Potter each night. 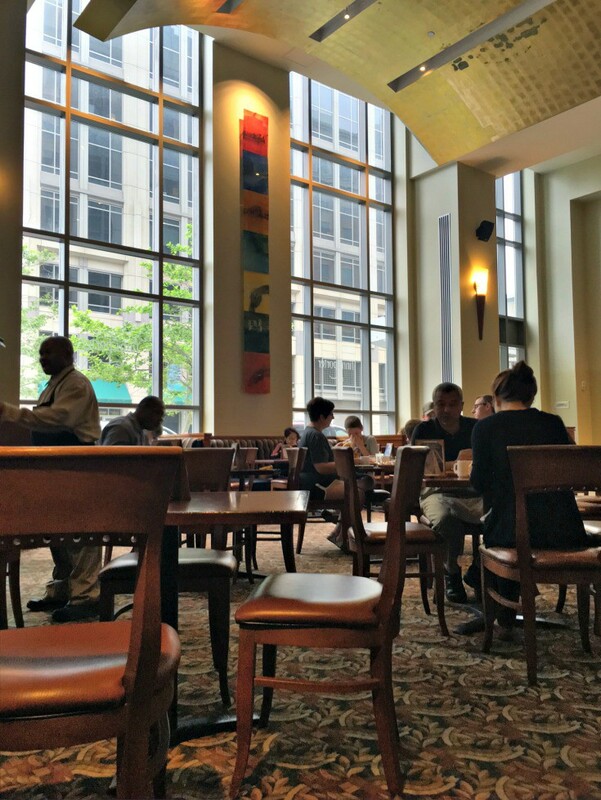 One of the most impressive features to me about the Embassy Suites, Convention Center was the food. Each morning we had complimentary breakfast awaiting us in the lobby restaurant. It was a standard buffet with the typical waffles or pancakes, bacon, potatoes, fruit, and cereal. But there was also a lovely Oatmeal bar, pastry case and made to order omelets. It was the perfect sendoff for a day of sightseeing! We also enjoyed the nightly refreshments at the Evening Reception located on the other side of the lobby from the restaurant. Not only were there drinks for the adults, but they offered snacks like chips and guacamole, goldfish crackers, M&Ms, and other various snacks for the whole family. And they even had Shirley Temples for the kids! We definitely made it a point to get back to the hotel in time to relax, rest our feet and then head out to dinner. The pool is a small but welcome oasis from the heat, especially if you visit Washington DC during the summer. I thought we would swim more often but we only made it to the indoor pool once. That said, we had a great time and Oscar even made a couple friends! We walked most places, including the National Mall, which is only about a half-mile away. I can also say this is the trip where we fell in love with Uber. Just about everywhere we wanted to go was just a few dollars and worth every penny. 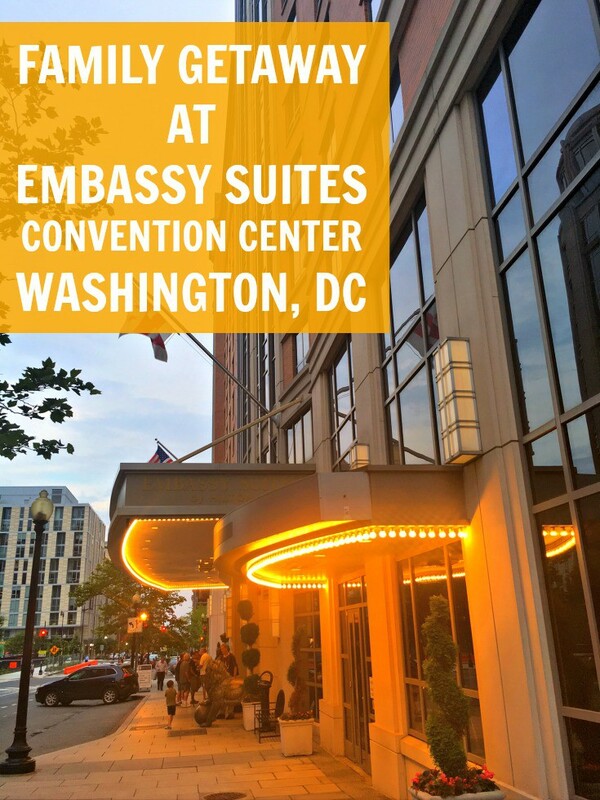 I would definitely recommend giving the Embassy Suites Convention Center a try if you are planning a family getaway to Washington DC. I hope we get a chance to return very soon! Have questions? Leave me a comment below and I’ll do my best to answer them for you! Disclosure: I received a discounted rate for our stay at the Embassy Suites. All opinions are my own.